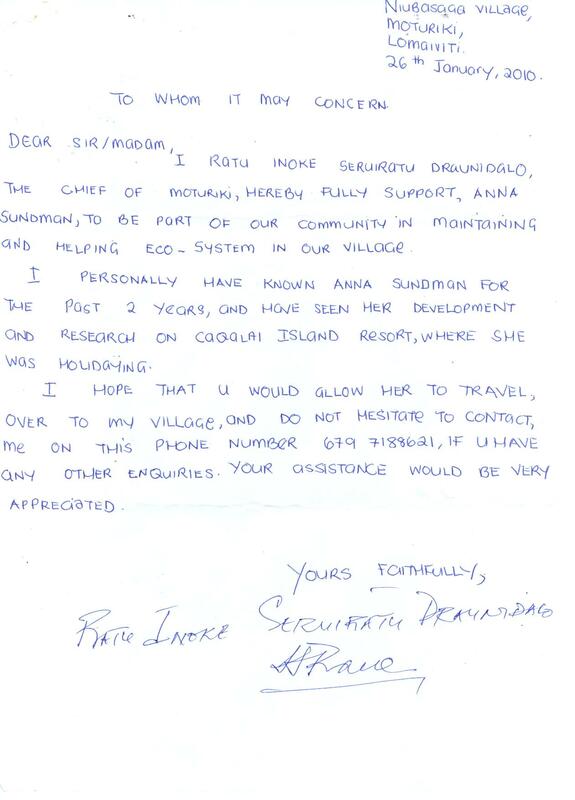 Anna returned to Niubasaga village on 1 July 2010 to start a six-month environmental project with the community. A sevusevu (gift of yaqona root) was presented to the village, and a kava ceremony followed. The project officially started on 5 July with a bose ni koro, village meeting.